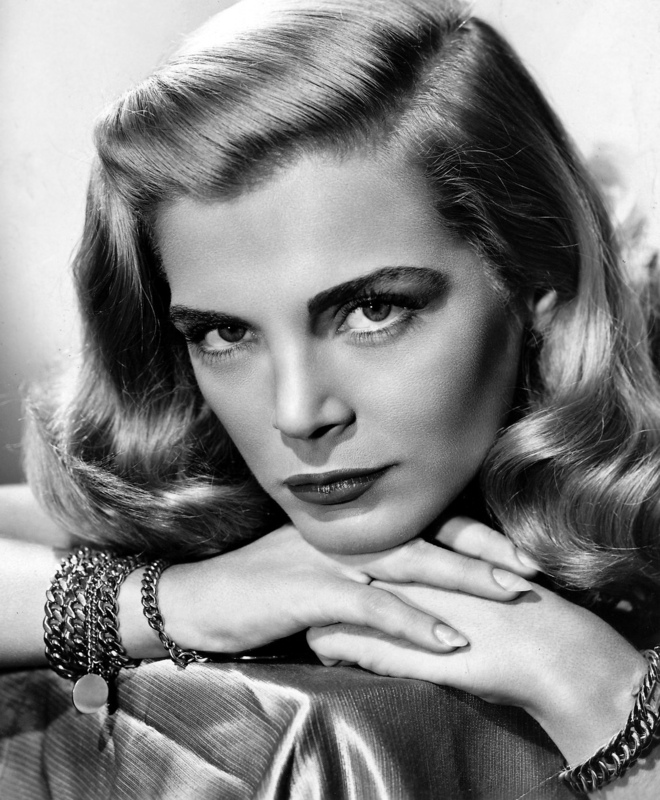 Lizabeth Scott is simply one of the most unusual and glamorous stars of Hollywood. Her timing was impeccable because her smoky sensuality and husky voice came at the exact moment film noir was establishing itself as the dominant genre in post World War II America. She started out on Broadway as a sub for Tallulah Bankhead in a play called “The Skin of Our Teeth” though Lizabeth never got to shine because Tallulah never got sick. Instead, Lizabeth (she dropped the “e” to be different) was noticed by film scouts who brought her to the attention of producer Hal Wallis. Wallis was the genius who brought us “Casablanca” and he saw talent in the young (Lizabeth was 20) would-be screen siren. Lizabeth tested at Warner Bros. and it was a disaster but Wallis still liked her look enough to bring her with him to Paramount Pictures when he left Warner Bros. – he and Jack Warner having had a bitter falling out over Warner “stealing” the Best Picture Oscar from Wallis for Casablanca. Wallis would remember this the rest of his career and wasn’t going to let anyone take his new starlet out from under him. Wallis dubbed Lizabeth “The Threat” and made her over into a femme fatale and perfect foil for some of the screen’s greatest leading men. 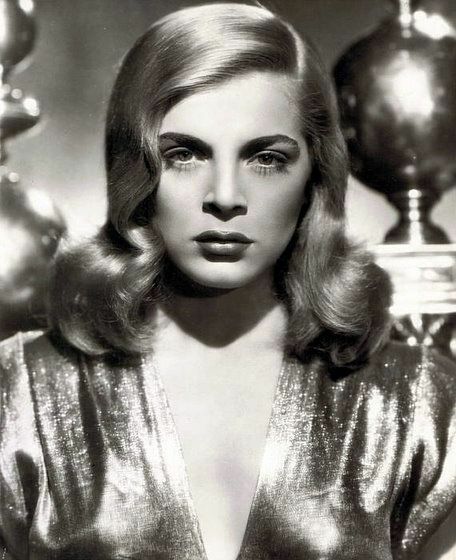 Arguably the greatest was Humphrey Bogart, whose wife Lauren Bacall and Lizabeth had similar character traits in common. 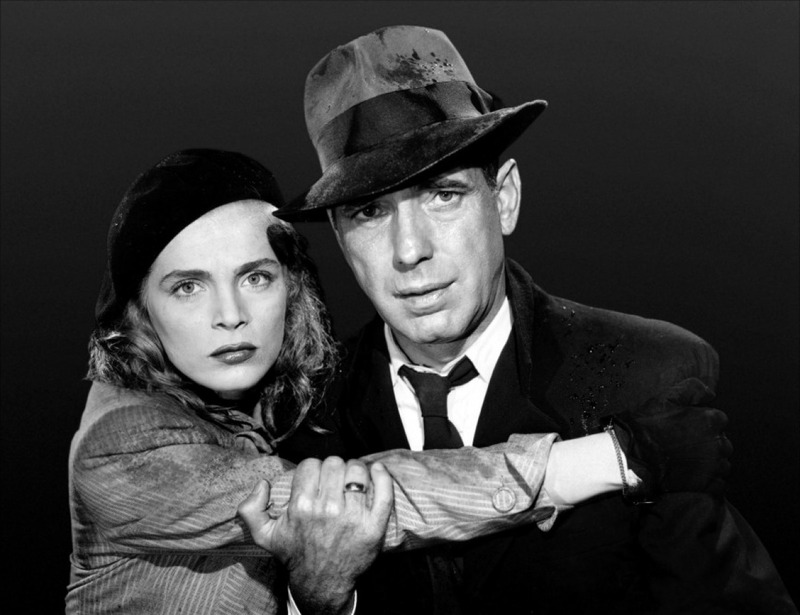 Lizabeth and Bogie got to work together in the noir classic “Dead Reckoning” and Lizabeth held her own against the formidable screen presence of Bogart. She was able to be charming at the same time rip smart-aleck lines right after another. Her portrayal of world-weary, potentially dangerous women on the outside of polite society looking-in was an instant favorite of movie goers. She suspected everyone of having an angle – as did a new generation of world-war-weary Americans. She was in good company from the start. 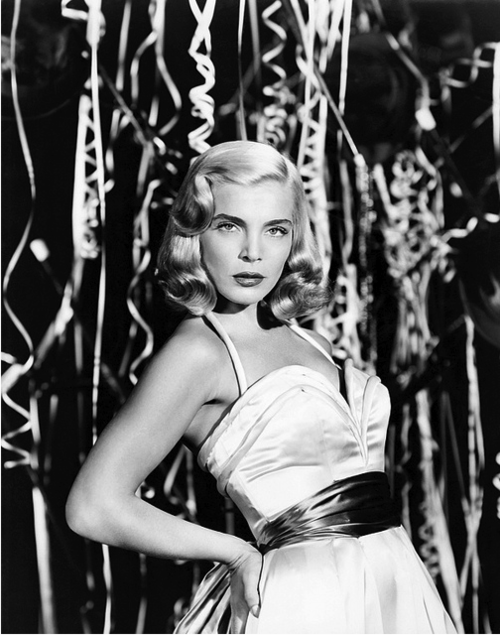 But Lizabeth was quickly typecast as the femme fatale of noir. 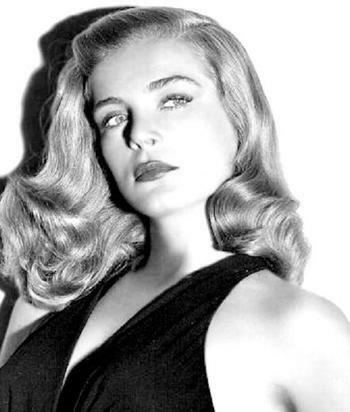 She made 20 films in her time in Tinseltown and more than 80-percent of them were classic noir scenarios. Except for her very last performance in 1957, when she starred opposite a young Elvis Presley in the curious “Loving You”. Curious because the King actually had screen chemistry with the Queen of Noir in a technicolor musical and one of his first of 27 Presley movies. Off-screen, the two became great friends and stayed in touch even after Lizabeth retired from films. In fact, Lizabeth was a singer herself and would release the eponymous “Lizabeth” which, true to its name, was full of torch-songs as well as light-hearted love ballads. The thing I love most about Lizabeth was truly how different she was to any other actress that came before, or after, her time in the spotlight. She projected a character that had seen the dark side of life, one that had survived in spite of the lousy hand she’d been dealt. The kind of alley cat that had been kicked around and never wanted to trust anyone or get hurt, again. Yet in spite of it all, she would fall in love again and again. Sometimes the guy was on the level, sometimes not and Lizabeth’s characters would take their lumps and move on. This classic noir archetype existed before Lizabeth but she brought it into vogue – the vamp with a heart – and made it her own signature style. It’s as distinctive as her voice and her angular, often smiling in spite of the pain visage. 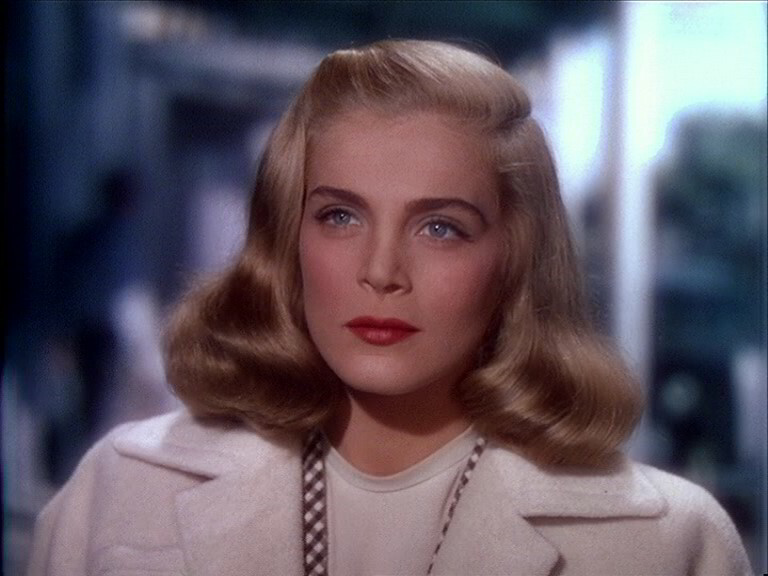 Many actresses would imitate this style later but few would come close to Lisabeth’s signature persona. It astounds me that Lizabeth hasn’t received more acclaim for her work in noir. 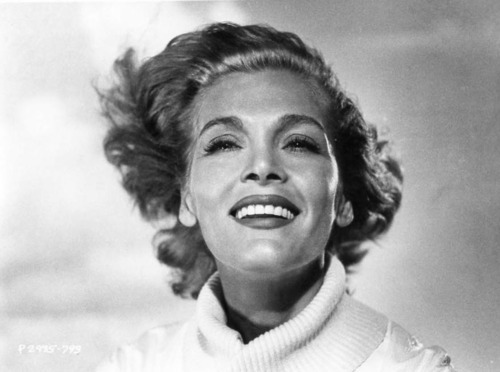 The great actress is still with us (she was born in 1922 so you do the math) and I think that the new generation of neo-noir directors (i.e. Rian Johnson, Brian Helgeland, etc.) would want to cast this living legend even if just for a cameo – in their films. Or, maybe they’ve tried and Lizabeth has rebuffed their advances like her character did in so many of those inspiring, femme fatale roles she created. She’s truly like Garbo in this way – she does want to be left alone. Still, I would give my eye teeth to sit down and talk with such a classy, under-appreciated original like Lizabeth. It would be a privilege and an honor to sit across the table from the actress who starred opposite so many golden age movie stars. And probably more than a little intimidating, too. A classic publicity shot of the up-n-coming star during her heyday in the California sun. One of the few shots of Lizabeth smiling…right before she devours you! That’s more like it. The Queen of the Femme Fatales in classic evening gear. The cigarette is smoldering and so is her glare.